It's Saturday! You know what that means....time to showcase a new blogger! I mean, really...do you look forward to this as much as I do? I hope so! This week you get to meet Katie from Kentucky. Read on to get to know her a bit and then hop over to her blog and welcome her to the blogging community! Hi everyone! 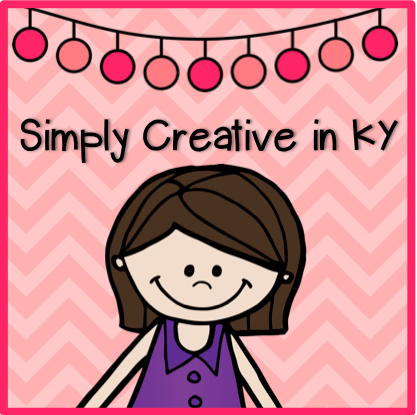 I'm Katie from Simply Creative in KY! I live in Lexington, Kentucky and teach at a little school just outside of the city. My husband and live in the heart of downtown Lexington, and we love it! We have been married for three years, and he's the best teacher husband around. He'll cut laminating, come to school to hang up the high stuff, and loves to lead telling time bingo. We are foodies and love to try out all the local restaurants. I am going in to my 4th year of teaching 2nd grade this year, and I absolutely love it. Obviously I am biased, but I think 2nd graders are the best. They are independent and can handle a lot, but they still (mostly) love school. My favorite subject to teach is math. I love teaching my kids how to figure out what strategies work for them. I have loved seeing my kids figure out addition and subtraction strategies by breaking numbers apart and putting them back together. Getting exit slips like this make my teacher heart sooooo happy. Here they are showing off their amazing math skills after persevering through a hard story problem for over a week! They loved having a challenging problem that they couldn't just figure out in one sitting! On those days that are just... not my favorite days, the thing that gets me through the it are my lovely grade level teammates. They are the funniest, sweetest, and genuinely the best people on the planet. We gave ourselves the name "The 2nd Grade Dream Team" this past year. Obviously we don't spend each day dressed up like the Ninja Turtles in tutus, but I think you get the idea. They are the best. I cannot live without dry erase markers in my classroom. We eat those things up like CRAZY. My kiddos are always using whiteboards for just about everything. Their favorite thing to do is write on the tables. I especially love it because they are all engaged and on task! And when I pull out the colored dry erase markers on those special days... whoa, buddy. It's like Christmas in my room. 1. They look absolutely adorable as old people. 2. Seeing them walk down the hallways with canes and hunched bodies is hilarious. 3. Writing about being 100 years old. One of my blogging goals this year is to blog much more often. 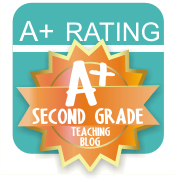 I tried to start a blog about 6 months ago when I started TPT-ing, but it was just too much. I couldn't keep up. 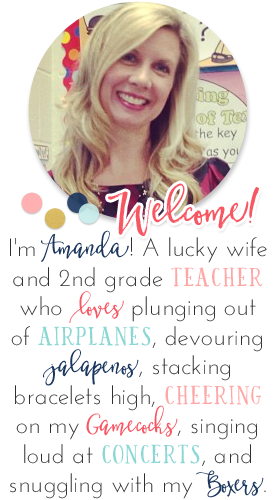 I'm excited to start a new school year and share all of the crazy happenings of my classroom. I also look forward to getting to know more blogging buddies! Thanks for stopping by and meeting me! 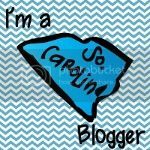 I'm so glad to meet a new blogger just starting out! I'm your newest follower Katie! I'd LOVE to be featured.....how would I go about that? Thanks for sharing! ...Guess I should have left my e-mail address :) abcsandieps@yahoo.com. Thanks again!